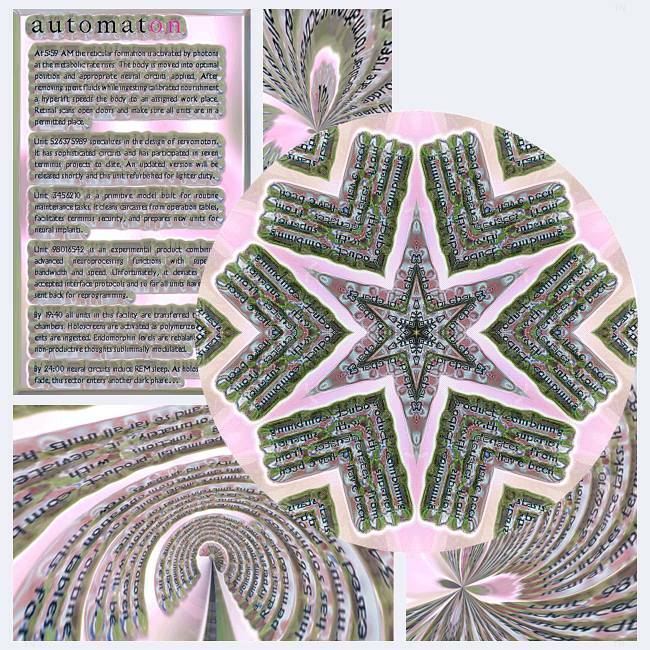 Kasim: Do you sometimes feel like an automaton? Nadia: Yes, all too often. I think this happens to many people as they get older. How about you? Will: Me? I have come to realize that I'm actually not that important. Why don't you ask someone who feels they are important. Perhaps they will have an illuminating answer? Kasim: I see my life as an interplay between automaticity and free will – I seem to have lotd of habits that have become automatic and unconscious, but now and then I can exercise volition and make a choice. Wan-Sze: (shrugging his shoulders). Hmm. Our conscious volition is probably much smaller than most people would prefer to admit.